Grand Design RV is recalling 1,765 model year 2018-2019 Reflection fifth wheel trailers, models 28BH and 29RS. The circuit for the power converter does not have over-current protection. Grand Design will notify owners, and dealers will inspect the trailers to determine if the 50-amp mini breaker at the bus bar is installed correctly and that the circuit is wired correctly, correcting it as necessary, free of charge. The recall was expected begin November 26, 2018. Owners may contact Grand Design RV customer service at 1-574-825-9679. 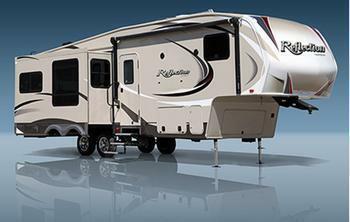 Grand Design RV's number for this recall is 910017.